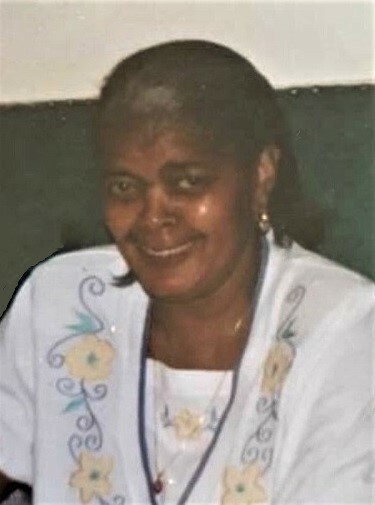 Obituary for Chinnie E. Hill | House of Wheat Funeral Home, Inc.
HILL, Chinnie E., age 92, loving and compassionate mother, grandmother, great grandmother and friend, passed away Sunday, September 9, 2018. Born July 24, 1926 in Lanett, Alabama to Davis Hughley and Rena Barrow and a resident of Dayton for many years. She was a housewife and homemaker and will be truly and dearly missed especially by her children. Preceded in death by her husband, Lee H. Hill Sr.; sons, David L. and James E. Hill; brothers, Ulysses Barrow and Robert L. Thompson; sister, Frances Curry. She leaves to cherish her memory her sons, Walter (Marion "Sue"), Lee Jr. (Robin), Jerry (Felicia), Hubert and Terry Hill; daughters, Mary (Robert) Moore, Shirley (Gregory) Reid; brother, James Thompson; sisters, Louise Rearden, Ruby Mae Twymon and Doris (Charles) Pitts, all of Anniston, AL; loving sister-in-law, Gladys Hill of Atlanta, GA; sister-in-law, Zola Thompson of Anniston, AL; a host of grandchildren, great grandchildren, nieces, nephews, other relatives and friends. Funeral service 12 noon Saturday, September 15, 2018 at the House of Wheat Funeral Home, Inc., 2107 N. Gettysburg Ave. Visitation 10 am-12 pm. Family will receive friends 11 am-12 pm. Interment West Memory Gardens. Special thanks to Dr. Ratnam Oza and his staff.